As humans, we know exactly what it’s like to feel that awful, bored out of our minds, just want to get up and go feeling. But did you know that our beloved dogs also experience that very same feeling? It’s true. Often times, when someone tells me their dog is destructive, and they are at a loss with what to do and how to do it, the main reason seems to stem from their dog simply being… bored! Not to worry, I have 10 ways to keep your dog from getting bored, and in turn becoming destructive. So How on Earth Are You Suppose to Help a Dog With Boredom? I have 10 simple things to help you get started! Play games to mentally stimulate your dog - such as hide and seek with treats, or some good treat puzzle games, which can be purchased at most pet stores. Try a hike! If you don’t regularly go hiking, go for it! It gets both you and your dog up and out the door, and who knows what kind of adventure you’ll run into! Toy change up! Dogs can get bored with the same old toys, so every other week, switch their toys for some new ones, then rotate back to the old ones the following week. Try out a new trick! Dogs are generally always eager to learn, so choose 15 minutes out of every day and teach your pup a brand new trick! Take your dog with you! Most dogs love road trips, even if it’s just a drive around the block. Find local sporting events for dogs, and try him out at some agility, flyball, or other doggie sports. Take your dog for a shopping spree! Go out to your favorite pet store, and splurge on your dog. Let him pick out his own toys, you might be surprised what he goes to first. You could also try finding a dog-friendly cafe or restaurant. Arrange a doggie play date! Make some homemade frozen treats, or a frozen stuffed Kong recipe to keep your dog busy for a while. Change up your walk destinations. Take your dog somewhere completely different than you normally do. Introducing him to new smells, and faces during your walk will give your dog an extra boost of mental stimulation. There is so much in the world for us to involve our dogs in, all it takes is some creativity and energy. You may surprise yourself with the things you can come up with! Personally, I will admit that my Siberian Huskies have definitely brought out the best in me, and my family. There is never a dull moment, and I have learned to find numerous ways to entertain them, but at the same time, they seem to be the ones who like to entertain me. It’s a win win situation! What are you waiting for? Get up, and get creative! 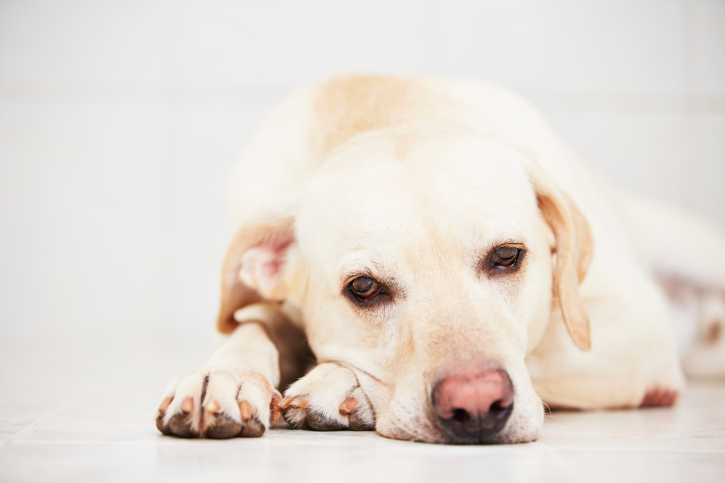 What sort of things do you do to keep your dog from getting bored?